Former New York Times reporter David Cay Johnston has found a calling, and it's to take down Donald Trump by any means necessary, including assigning the R-word — racist — to the President-elect's desired policies. In his most recent attack during an MSNBC interview, Johnston effectively smeared every American who wants to see Obamacare repealed as either a racist or someone providing aid and comfort to racists and white supremacists. I've been trying to resist taking satisfaction in David Cay Johnston's utter humiliation on his first assignment at Reuters. Y'know, there but for the grace of God, etc. I do wish him well, though I question whether the feeling is mutual. More important, I hope he recognizes the need to go into journalistic rehab. My guess is that he doesn't. 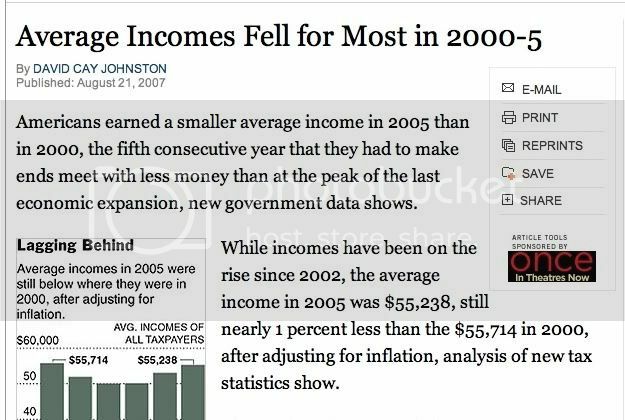 The former New York Times journalist/reporter (whatever, David) and yours truly had an extended online dustup four years ago when I demonstrated Johnston's in my view sloppy, foundation-limited, and biased reporting at the Old Gray Lady (graphic of first few paragraphs as originally presented; current link) in an item about what had happened to Americans' incomes between 2000 and 2005 (errors summarized here in "Top Six Errors Committed by David Cay Johnston and/or the New York Times in Their Income Growth Report"; I noted a seventh later). Let's go through the development and destruction of Johnston's maiden effort at Reuters. Smug Ed Schultz Forced to Admit Huge Blunder About News Corp.
A former gridiron star really ought to know better than to spike the ball in the wrong end zone. Appearing more subdued than he had on "The Ed Show" just 24 hours earlier, MSNBC action hero Ed Schultz last night admitted making an embarrassing error about News Corporation, parent company of Schultz nemesis Fox News Channel. Do you read Ayn Rand? Do you enjoy her novels? You do? Well then, you're clearly a proponent of - or at the very least sympathize with - domestic terrorism. That, at least, is the logic put forth by Pulitzer Prize-winning former New York Times reporter David Cay Johnston on last night's "Ed Show," in what may be the most absurd, laughable attempt to demonize Rep. Paul Ryan, R-Wis., to date. Johnston insisted that Ryan, by requiring his staff to read Ayn Rand novels - a claim itself divorced from reality - was essentially endorsing terrorism by "hold[ing] out as a model people who commit felonies like blowing up buildings," a reference to Howard Roark, the main character of Rand's novel "The Fountainhead" (video below the break, via former NBer Jeff Poor). CBS News on Sunday morning managed to examine incongruities in the U.S. tax system, highlighting those – including a former New York Times reporter – who think the wealthy aren’t paying enough, but without bothering to point out the disproportionate share of the income tax paid by those at the top nor how more than a third of those who file an income tax return pay nothing or even get more back than they put in. If this keeps up, the shrinking number of guests on Rachel Maddow's MSNBC show could dwindle even more. For the second time this week, a Maddow invitee offered an awkward contrast to what Maddow claimed earlier in the same segment. On her show Monday, Maddow cited three reports claiming that $61 billion in spending cuts proposed by Republicans on Capitol Hill would lead to massive job losses -- followed by economist Robert Frank telling Maddow minutes later the reductions amount to "just a drop in the bucket." On Friday, MSNBC's Rachel Maddow accurately blamed a bill enacted in 1999 for today's financial crisis, but in so doing exclusively pointed accusatory fingers at its Republican sponsors while totally ignoring the overwhelming Democrat support it received in both Chambers of Congress. Maybe even more egregious, she chose not to address it being signed into law by President Bill Clinton until a guest inconveniently brought it up. Of course, NewsBusters has been apprising readers about the significance of the Financial Services Modernization Act of 1999 (aka Gramm-Leach-Bliley) for many months, including articles on the subject here and here. A former New York Times investigative journalist who wrote primarily on business and taxation will soon be speaking at a "progressive" gathering. Further, in his inaugural column at a post-Times gig, he misrepresented the nature of the 1980 and 2000 tax-cut proposals by the Republican presidential candidates. Finally, in another post-Times tax column, he used vitriolic class warfare-based language in analyzing matters relating to tax compliance. Surprised? If you're familiar with the work of David Cay Johnston from when he toiled at the Times, probably not. Last night, it occurred to me, as I was preparing an e-mail to notify New York Times business columnist David Cay Johnston about updates to yesterday's original posts (NewsBusters; BizzyBlog) about his "smaller average incomes" report and a new source data update post, that I should bring a festering Times-related business reporting matter to his attention. ..... Until earlier this year, I really didn't have too adverse of an opinion on the hard business reporting at the Times (outside of Paul Krugman, but he's a commentator). I've usually seen AP as consistently worse on hard biz-econ news. Then, in February, Times reporter David Leonhardt told readers that manufacturing was in a recession. Not heading towards one. Not on the verge of one. Nope -- IN one.